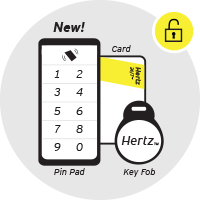 Using Hertz 24/7 is easy. All you have to do is sign up once for free. 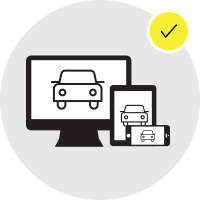 Registration gives you access to all Hertz 24/7 vehicles across our various partners in the UK and Europe. Book: Reserve your Hertz 24/7 vehicle via the Hertz 24/7 app or in-store tablet available at selected locations including B&Q, Costco, Homebase and Ikea. 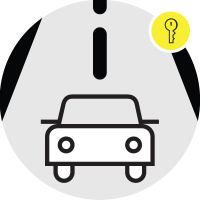 You’ll receive a booking confirmation and vehicle access code by SMS and/or email moments before the start of your rental.